A peak at what we have been doing lately. As fellow nerds, we were overjoyed when Mai and Sean asked us to be their wedding photographers! 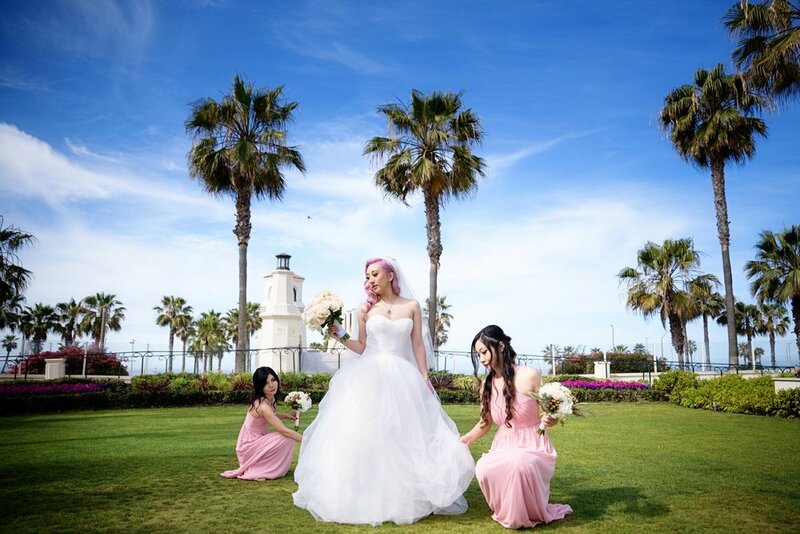 They met at E3 back in 2009 and after years of friendship followed by long distance dating between Los Angeles and San Francisco, they finally move to begin their lives together in Orange County with their adorable dog Kratos (The Dog of War!). These stylish and silly video game lovers are absolutely adorable together and are always down for photos, something that we definitely took advantage of. 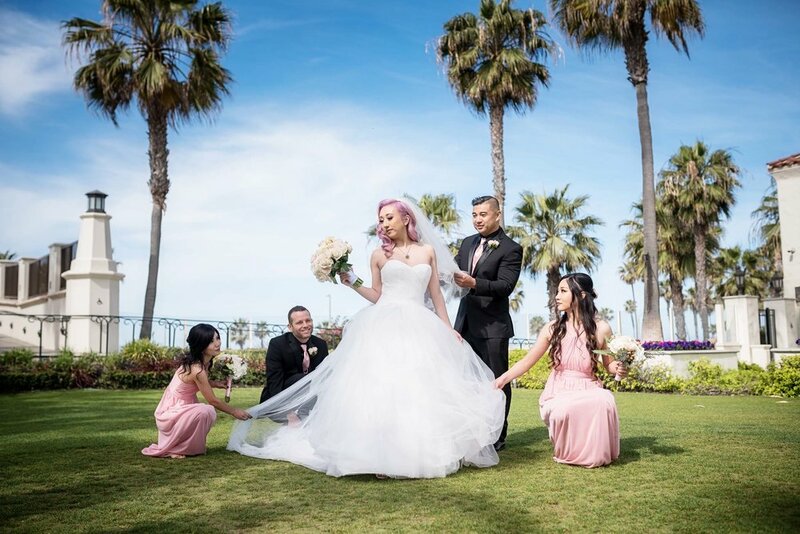 As they said ‘I do” at the picturesque Huntington Beach Hilton surrounded by close friends and family, and of course Kratos as the dog of honor, the sun came out to shine on an otherwise cloudy day. 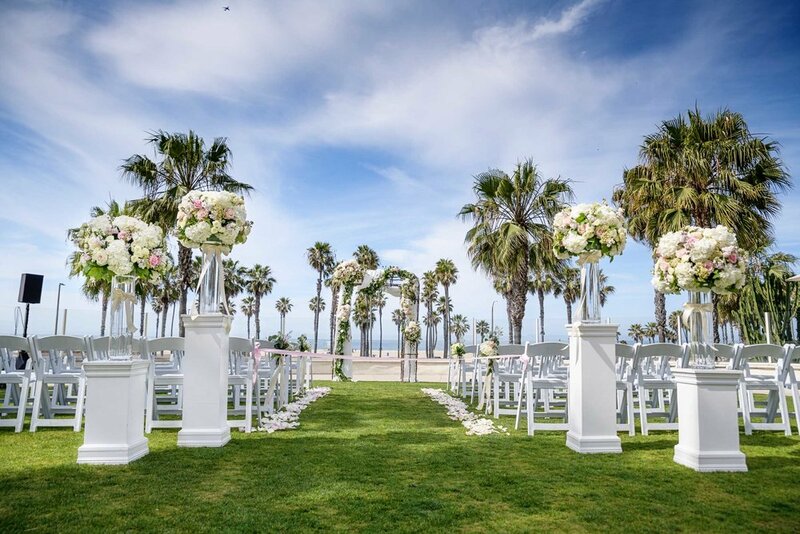 Stunning white and pink floral arrangements by () that matched Mai’s beautiful pink hair adorned the walkway and arch that looked over the Southern California beach beyond. 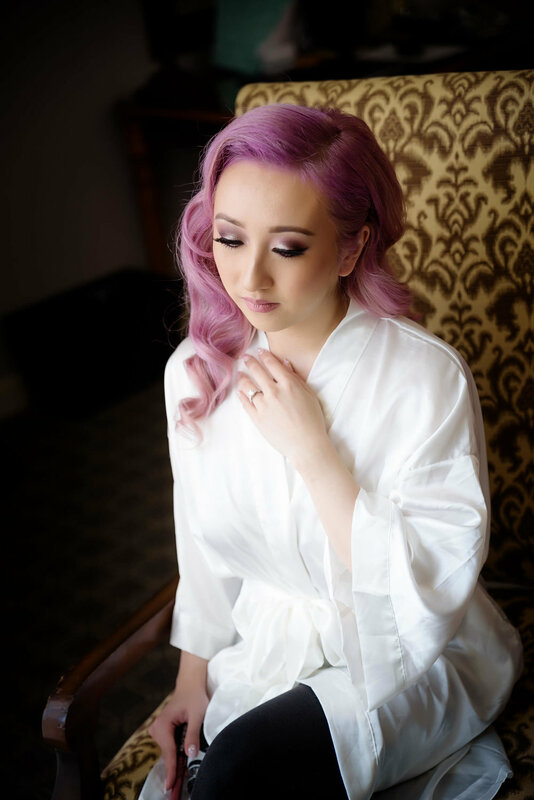 Mai looked stunning in her dress with her signature perfect manicure to match, but she and Sean weren’t above smashing cake into one another’s faces once the time came. 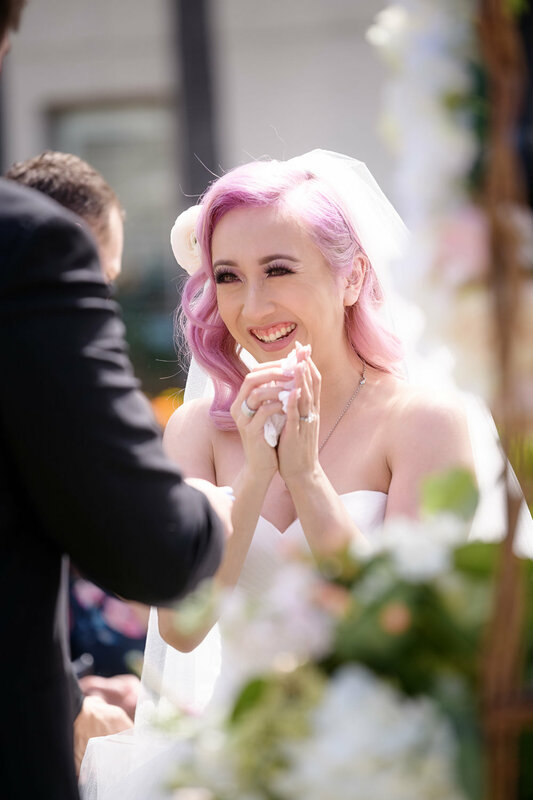 Check out our photos of the entire day below to see all the laughter and even some tears on their special wedding day.